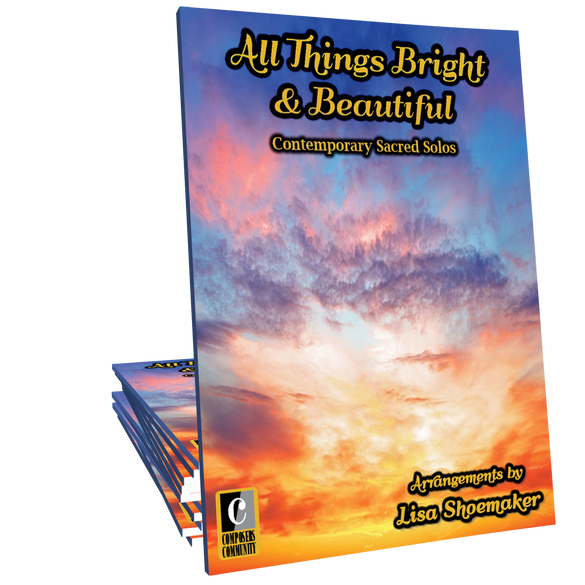 All Things Bright and Beautiful is a collection of eleven sacred classics arranged by Lisa Shoemaker. These showcase solos, written in a contemporary style, are ideal for students and church musicians alike! What a beautiful collection of sacred songs wonderfully arranged!Very well done and will be just the pieces an adult student of mine has been looking for. This book is full of elegantly arranged hymns that flow easily from my fingers. Most are beautifully calm and reflective but a couple have a syncopated energy that perfectly match the lyrics. So glad I bought this book!